Data can solve providers’ problems across the board – ranging from optimizing health outcomes or reducing the cost of care, to simply getting patients in and out of the waiting room efficiently. FDA Commissioner Scott Gottlieb recently delivered a speech discussing how the FDA’s Information Exchange and Data Transformation program can increase drug efficacy through the use of real-world data. At the same time, as the consumer experience continues to be prioritized, the race is on to aggregate the most comprehensive data sets and derive actionable insights as quickly as possible. The providers already taking advantage of the data tools in the marketplace will separate themselves from the competition. Now the question is simply how to catch up. Healthcare has certainly adopted new technology more slowly than other industries, but just about everyone now works with an Electronic Medical Record (EMR). In fact, in many cases providers are using their third or fourth EMR. That means the current web of patient data is more comprehensive for each individual than it was 20 or 30 years ago. The availability of this data can help operators make better decisions—but only if they can interpret it accurately. Simply put, providers need to find ways to make complex patient data and trends digestible for healthcare professionals. Rather than hiring a team of data analysts, the most efficient way to mine company data is to utilize analytics software. This technology can paint a visual picture of actionable patient data for urgent care centers so they are able to make revenue-driving decisions in real time. In doing so, medium to large urgent cares will be able to better establish themselves in a crowded field of competition. Urgent cares always have benefited by being nimble and open to new technology, so adopting the latest business analytics tools will be an easy first step. The youngest healthcare consumers expect on-demand services in most aspects of their lives and don’t have the patience for standing in lines or sitting in waiting rooms. The ability to understand and respond to these expectations will determine success or failure. Urgent care facilities meet those high expectations by showing patients how long their wait will be once they arrive and continuing to provide updates while they wait. Software solutions for urgent care centers make that level of patient engagement possible and keep them coming back to the clinic. For instance, patient engagement software can tap into ubiquitous technology like cell phones to send real-time, data-backed updates on wait times. Eliminating uncertainty from the mind of patients ultimately makes their experience more enjoyable. When patients can see wait times before they even enter the urgent care center, they will naturally distribute themselves evenly based on wait time/patient volume. Patients will choose the location with the shortest wait, even if it’s slightly further away, preventing backlogs in the waiting room. Meeting expectations of efficiency and moving patients in and out of clinics is key for urgent cares on two fronts: patient satisfaction and the bottom line. The more patients seen in a day, the better for everyone involved. In 2019, the key to success for urgent care centers will be taking the steps to expand beyond the traditional EMR and make the most out of tools designed to maximize revenue. Patient data represents the key component to achieving those goals, allowing providers to recognize trends in their patient population that will lead to fast and effective revenue-driving decisions. 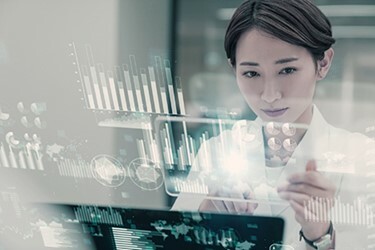 A natural next step is adopting business intelligence and data analytics tools that allow urgent cares to access, visualize and act on patient data in ways that set them up for success – and ultimately, providing an unmatched patient experience. The data is right under their nose – urgent care clinics just need the right tools to access that data and be fully empowered to unlock its potential, optimize healthcare and drive revenue. Matt Blosl is the Chief Revenue Officer for DocuTAP, one of the nation's fastest growing healthcare technology companies and provider of electronic medical records (EMR) and practice management (PM) software for urgent care clinics.